Georgia Power has announced continued progress at the Vogtle 3 & 4 nuclear expansion near Waynesboro, with the placement of the first two sets of double-decker shield building panels around the outer wall of the Unit 3 containment vessel. The shield building panels, fabricated in Newport News provide structural support to the containment cooling water supply and protect the containment vessel, which houses the reactor vessel and associated equipment. 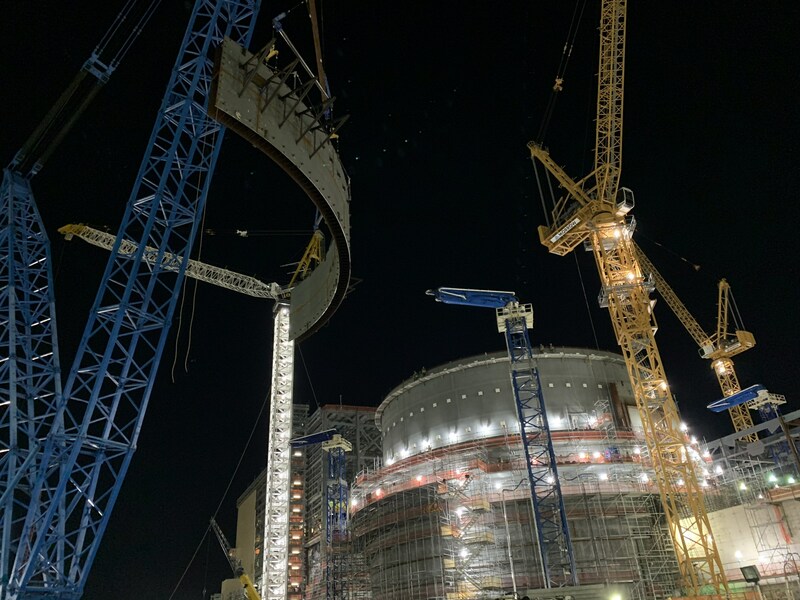 "Placing the six-panel assembly was a new method for us – one that allowed us to set two full courses in just four lifts, thus drastically shortening the duration for setting shield building courses," said Vogtle 3 & 4 Construction Senior Vice President Glen Chick. With more than 7,000 construction workers on-site, and more than 800 permanent jobs available once the units begin operating, Vogtle 3 & 4 is the largest jobs-producing construction project in the state of Georgia.